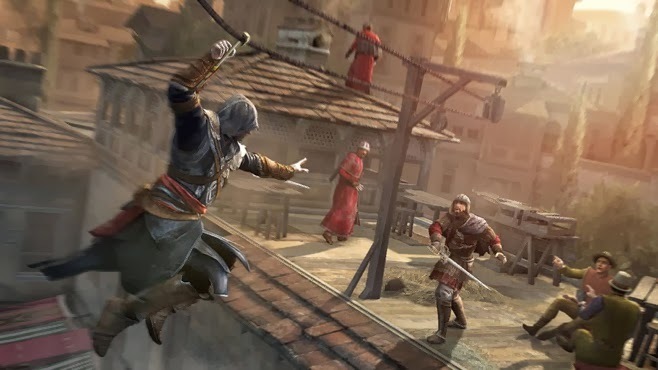 Another year, another Assassin's Creed game. Except somehow it seems that I'm perpetually 2 years behind the curve here. Last year I played Brotherhood, and now a year later I've finally gotten around to playing Revelations. I guess the thing is, I have something of a love/hate relationship with Assassin's Creed. I love climbing about historical settings hitting up all the little icons on my map. However Assassin's Creed games always seem to know just how to frustrate the bejesus out of me. It seems to be the trend that, by the time I'm done with one game I'm frustrated enough that I wait a whole year to play the next one. And of course by that point, the latest title will have come out, thus perpetuating the 2 game backlog. At any rate, I knew going into Revelations that it had not been quite as well received as it's brethren. Now that I have completed the game, here are my own thoughts on the matter. At first, I was actually pretty pleased with Revelations. One of my biggest complaints with Brotherhood was how restrictive it was. It felt like invisible walls were erected at seemingly random places all over the world. On the other hand, Revelations gives you unfettered access to pretty much the entire map and it's activities within the first hour or so of gameplay. 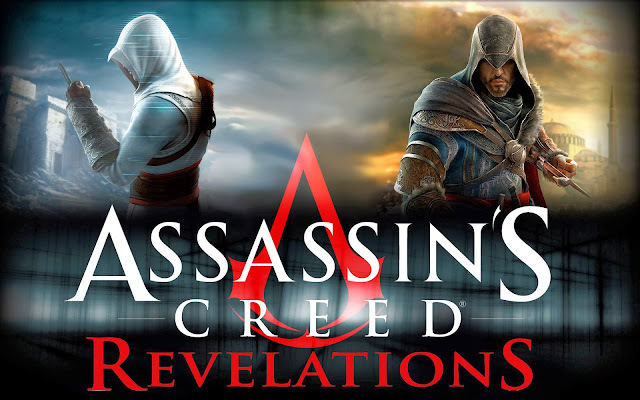 However after playing the game, I feel like Revelations actually went too far the other way, at least for my taste. Personally I feel that the answer is somewhere in the middle. The player should have access to side missions, but they should also be encouraged to progress the story. Rather than throwing all the side content at you at once, I would prefer it be broken up a little bit. In this way it feels like your "reward" for completing all the side quests is moving on with the story, and unlocking the next area of the map. With that said, I actually feel like Brotherhood got the free roaming more right than Revelations, despite my issues with it. I just wish that divisions on the map had been more logical and better communicated. As far as Revelations' gameplay goes, it is, unsurprisingly, pretty much identical to Brotherhood. At least on the surface. The two big additions are the hook blade and bombs. The hook blade creates some mildly interesting additions to how climbing works, but much of it seems cosmetic. The biggest difference comes in the form of being able to ride ziplines. Ziplines are certainly cool, but they really don't come up very often. Outside story missions, I only used them once or twice. As far as bombs, they seem like a fairly interesting addition, but I honestly just couldn't be bothered. The issue is that the bomb system was just too complicated to be worth it to me. It comes with an entire crafting system, three different categories of bombs, and customized bombs composed of three different parts. It's not wildly complex, I just never felt compelled to play with the system. I would use the odd bomb, but most of the time I felt that I would just rather stick with the mechanics that I had been using for the last 2-3 games. This issue with the bombs is really indicative of a larger issue with the game on the whole, too. One thing I rather liked about Brotherhood was the way it encouraged you to use a wider array of tools to get the job done. Synchronization goals would have you experiment with different tools, and after exposing you to them the game would later give you situations where said tool would be ideal to use. In contrast, Revelations felt like I could just brute force my way through everything. I don't think I used poison more than once, and I'm pretty sure I never used the smoke bomb, both of which were staples in Brotherhood. I never really saw the need. It felt like I could play through the entire game using nothing but the wrist blade and throwing knives. On top of this, I never hired a single group of Thieves, Mercenaries or Romani. They were there, but they didn't really seem to serve a real purpose. It's like all these things are still in the game just because it doesn't make sense to remove functionality, but they didn't take the time to create situations where they would actually be useful. This is kind of indicative of my feeling on the game as a whole. It feels like it was rushed. It feels like the shell of a game, like Ubisoft just took the engine from Brotherhood, modeled a new town, and shipped it. It's a good example of how important level design is. Good mechanics are great, but without a world that provides you with the proper challenges, they feel superfluous. 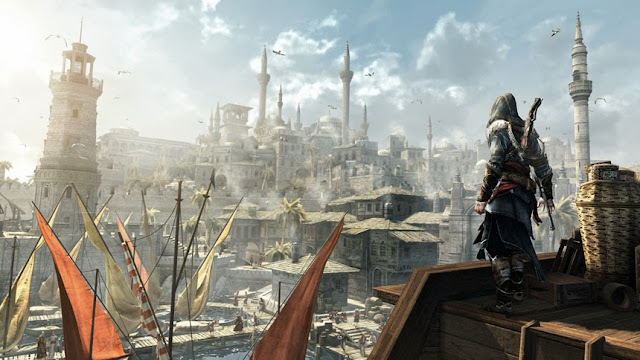 That's not to say that Constantinople itself is poorly made, because it's a nice city. It just feels like everything about Revelations is lacking the spirit the previous games had. This is not Ezio's swan song so much as a placeholder to finish Altair's story and hold people over until Assassin's Creed III. This chapter of the story could have been skipped altogether and I don't feel like you would miss it. If anything, after the ending of Brotherhood Revelations is pretty anti-climactic. That's not to say Revelations is a bad game, it's just decent.